When I started my blog, I made a lot of mistakes while writing my articles. Because as a non-native English speaker, I didn’t know too much complex English words, vocabulary and some grammar rules too. And as we know that to create high-quality content, we should avoid the grammatical mistake because these spelling and grammatical mistakes are embarrassing and they can keep your readers away from your articles or blog. So to improve my grammar as well as the quality of content, I started searching on the Internet for online grammar tools, and I found the most popular grammar checker tool, i.e., Grammarly. It is the best grammar checker tool for proofreading articles, book chapters, and blog posts. With the help of Grammarly, you can easily correct over 250 types of your grammatical errors instantly. I’ve been using it over a year. I tried Grammarly’s free version, as well as Grammarly Premium version and It improved my English writing skills, grammatical mistakes and now I can write my blog articles without worrying too much about my silly grammar errors. In this article, I am going to provide you the complete review of Grammarly. In this Grammarly review, I will provide you the detailed information on how to use the Grammarly checker tool to correct your spellings and grammatical mistakes. Grammarly Review: How Does Grammarly Work? What are the features of Grammarly? Grammarly is one of the most populous grammar editing tools that help you find and correct grammar errors. With the help of this online tool, you can easily find and correct all grammar mistakes (once you have installed its extension) easily in your blog post as well as book chapters. This grammar editing tool checks for more than 250 types of common and advanced English grammar rules. Grammarly not only checks the grammatical errors it also offers you the vocabulary enhancement tool as well as plagiarism checker. This tool is mostly used by students of all levels, business professionals, writers/editors, teachers/educators, bloggers, and marketers. This is one of the best things about Grammarly is that it offers both FREE and premium plan. You can find a lot more in their free plan, but premium version of this grammar checker help you to provide detailed information about each error. To use this tool you can sign up for their free plan and then you have to download the browser extension (available for Chrome, Firefox, and Safari). Once you have installed the browser extension, you can easily correct any text on the web where you can start writing. Once you have downloaded and installed the extension, you can instantly check and correct grammar mistakes. The extension let you edit the text without copying and pasting the text into the Grammarly account. See the screenshot below I have written some words within my WordPress post editor. Here you can see some words underlined by a red line. These words are the grammatical errors in my content. By clicking the “Correct” button in the bottom-right corner, you can fix any error of your articles. For advanced option, if you click on the “SEE MORE IN GRAMMARLY” a pop-up will open in your browser. Now click on the correct words on the right side, and the errors will be replaced with the correct words. The same process can be applied to any website like Facebook, Gmail and much more. Using the Grammarly browser extension for online error correction is easy. But outside your web browser, you can not use the features of the browser extension. At such a moment, you will have to upload your Word document to the Grammarly online editor. Once you have uploaded or copied your Word document text in the editor area, this grammar checker tool will proofread the text completely to find any errors. If you are using Microsoft office to write your articles or reports, you can use Grammarly add-in to check for any writing error. You can simply download Grammarly Microsoft Add-In from your Grammarly account. Once you have installed it, you will see Grammarly option in the Menu bar of Microsoft office. Now, you just have to enable the Grammarly feature in your Word, and you are ready to check any writing error. Grammarly checks your spelling and Grammar in the context of your writing, and it ensures that whether you have written correct spelling or not. The spelling checker tool complies with their 250 grammar rules to detect the wrong spelling and hint to update it with the correct one. Simple grammar and spelling mistakes can affect the quality of your content, and it is embarrassing for any writer. For many non-native English speakers and bloggers, Grammarly becomes the best tool because by finding and correcting errors up to 10 times more mistakes than an everyday word processor, it makes their writing better. You can use Grammarly to find the punctuation errors. Punctuation defines the proficiency of the writer as well as it helps the readers to understand the meaning of the message. Grammarly detects these punctuation errors in your text, and it won’t take more than few seconds to correct them. Grammarly is not only a proofreader but also an online English teaching tool too. Grammarly provides you the sentence improvement suggestions when the sentence doesn’t look appropriate. 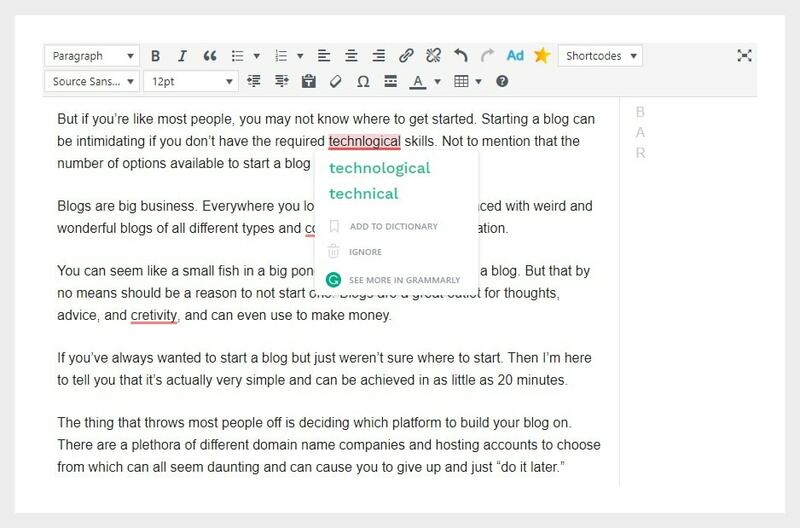 Grammarly provides writing style checks for your documents. For example, when you are preparing a document like an academic assignment. Grammarly will help you to give an academic style for the data structure. This feature is available for the premium version of Grammarly. Grammarly provides this fantastic feature for its premium users. This feature scans the complete article and finds the words that are repeated many times. It will suggest you different words having the same meaning, and you can replace these words with the those suggested words. You can find the option of vocabulary enhancement from the left sidebar. The another amazing feature of Premium Grammarly is plagiarism checker. As the originality of content is one of the most important factors, you have to consider when publishing an article on the Internet. If your content is not unique, you might be punished by the search engines. With the help of Grammarly plagiarism checker tool, you can easily find the originality of your articles. You can enable the plagiarism checker from the left-hand sidebar of Grammarly dashboard. I have provided a screenshot below where you can see how it detect the duplicate content and tell you how many parts of your content is unoriginal. Grammarly offers you two type of services, i.e., FREE account and Grammarly Premium account. Whether you select the FREE version or premium version, it depends on the quality of articles that you need. If you selected the free plan, you could use online Editor, browser extensions, and Microsoft Office Add-in tools for your articles. The premium version offers you have more features than the free version. You can use plagiarism checker, vocabulary Enhancement, and professional proofreader tools as well with Grammarly premium version. If you are a blogger or a freelance writer, I would highly recommend you to upgrade to the premium account. The premium account will help you to improve your grammatical skills. 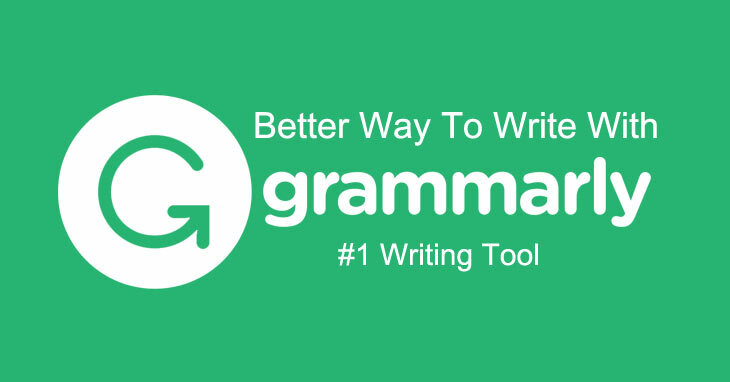 ​With the free plan, you can use Grammarly free for lifetime. But if you want it to upgrade to the premium plan, you can choose from their monthly, quarterly or annual plans as per your convenience. As every tool is not 100% perfect, all of them have some pros and cons. Here are the pros and cons I observed in Grammarly. Availability: You can use Grammarly in any browser, its web app, as well as Ms office. With the help of its browser extension, you can correct grammar mistakes on various platforms like Facebook, Gmail, Twitter, WordPress, and Blogger, etc. Plagiarism Checker: Grammarly provides you this useful tool to check copied content. As a blogger, this tool helps me when I have to accept guest posts from other bloggers because plagiarism is one of the things you should check before publishing the article on your blog. Compatibility: Grammarly does not work with Google Docs.Accessibility: You can not use Grammarly offline. To access this service, you must have the internet connection. Accessibility: You can not use Grammarly offline. To access this service, you must have the internet connection. I’ve been using Grammarly since two years, and I’ve found it so useful because it provides me explanations for the suggested changes in content along with details on what type of mistake you have made. Sometimes, when Grammarly corrects my silly grammar mistakes, it makes me think that it has saved me from some embarrassing moments. So as a blogger, I would highly recommend you to use this awesome Grammar checker tool to avoid these grammatical and spelling mistakes and in particular for those whose first language isn’t English. Grammarly is the best online grammar checker tool available online. It not only checks your grammatical errors in your article but it also gives you the clear information on what type of mistake you have made. Plagiarism checker and Vocabulary enhancement are the additional tools which are available with the premium version. You can start using Grammarly for free that helps you with most critical issues. However, if you wish to buy the premium version is worth the cost. I hope that you have enjoyed this Grammarly Review. If you’ve used Grammarly and have any valuable thoughts about it. Let me know in the comment section.